Enchant the ladies when you gift them with a magnificent rose keychain! These perfectly feminine favors will add the finishing touch to your event tables. The keychain is made of molded metal and has a shiny gold finish. 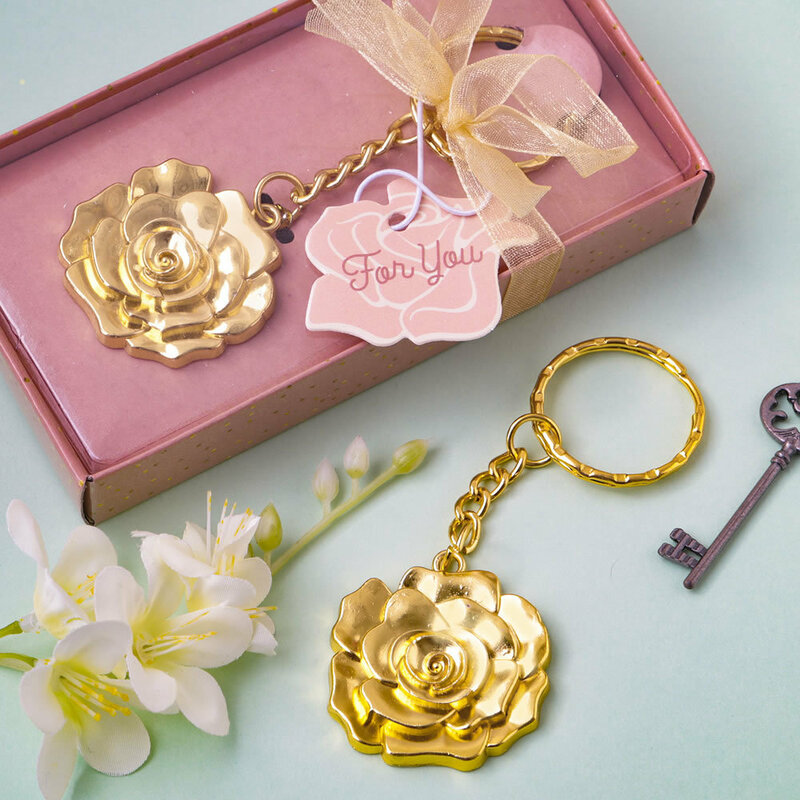 It features a three dimensional rose that is attached to a gold metal keychain and gold keyring. The rose keychain is presented in a mauve box with a gold dots design and a clear top. The box is wrapped with a gold organza ribbon and bow. Attached to the bow is a matching pink rose design 'For you' tag. These exquisite keychains add the final touch to your classy event tables. Offer as favors at bridal showers, weddings, Sweet 16's, ladies luncheons, prom nights or gala events. Size with chain x 1.25" x 0.125"